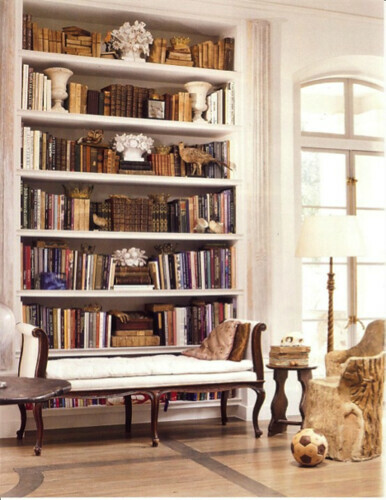 Sometimes it’s OK to judge a book by its cover… I love a good read but I also love a beautiful bookshelf. Which means sometimes it’s even OK to choose books specifically because of their covers! 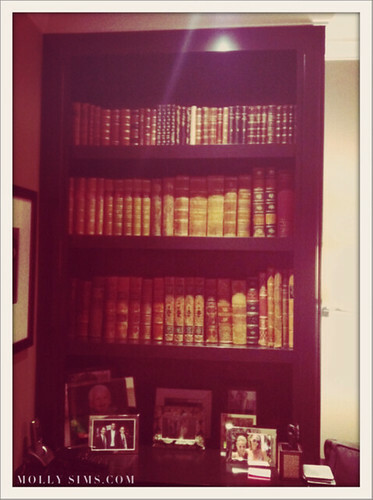 Here’s a bookshelf in my home filled with vintage volumes I’ve collected over the years. 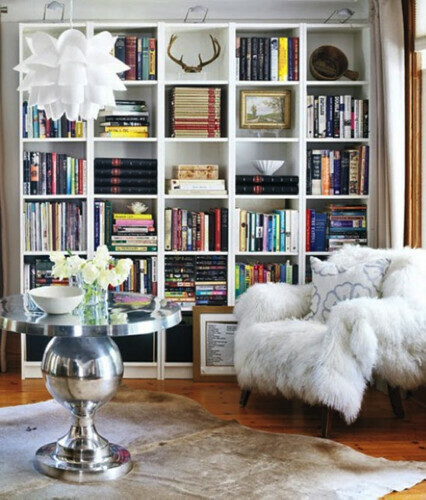 If you have any empty shelf-space, head to your local flea market, used bookshop or thrift store even and chances are you’ll find a bevy of exquisite books worthy of lining your walls. They don’t have to cost a lot either. You might have to dig a little for the good ones, but thrift stores sometimes sell books for less than a dollar a pop. Here’s a hint: Look under the book jackets; you might be surprised by what’s hiding under those ugly paper covers! 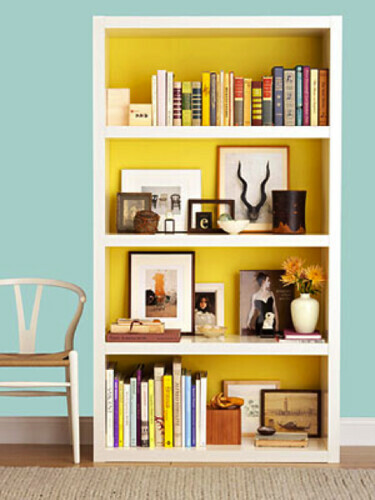 And don’t be afraid to get creative with your bookshelves—stack some books sideways, or add some framed photos and favorite decorative objects to the mix. Do you have any good flea market finds in your home? P.S. Don't forget to follow me on Twitter! Light Reading: "Norman Mailer/Bert Stern: Marilyn Monroe"
How to dress up your coffee table, step by step. Here’s a step-by-step guide on how I master the look and how to DIY on any budget.